I’m writing this post on a bus and this is definitely a first for me. Not riding a bus, no. The writing part I mean. I’ve ridden this bus (complete with wi-fi and dumb movie) plenty. 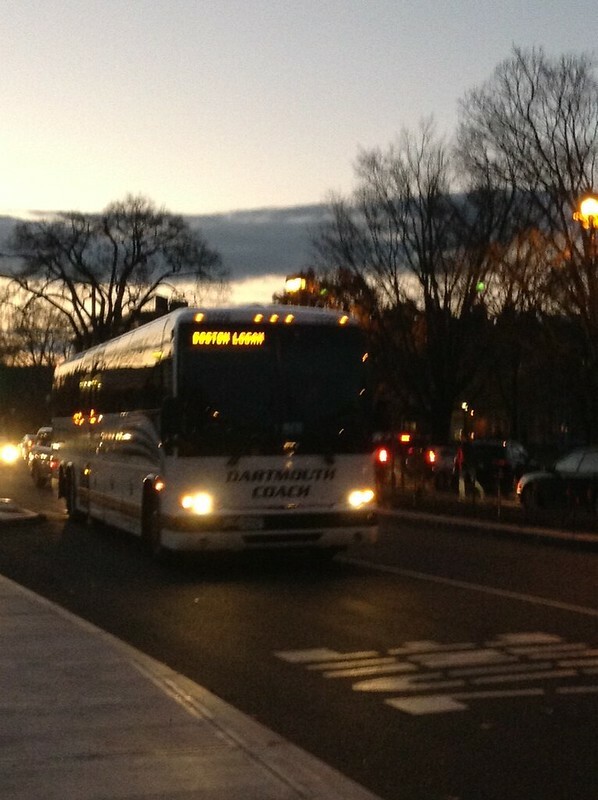 I have an almost Pavlovian response to this bus because it takes me to Boston, to the airport, to adventure. This particular bus ride is the first leg of a road trip to Toronto with my sister. We’re setting off from her place tomorrow morning. I suppose, since I’m blogging daily, you’re coming too. The driver has turned off the lights. The movie’s just started. The moon’s following us. Let’s ride. Love the photo and the upcoming adventure–do provide details! Quite jealous at it’s 6 pm and I’m still at the office working. Enjoy! Love that bus. Have fun!